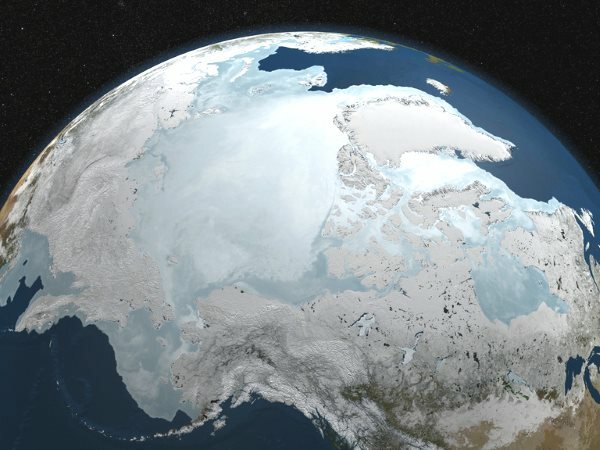 Can the Arctic ice survive the ‘Big Heat’? NASA image of the Arctic sea ice on March 6, 2010. Image: NASA / Goddard Space Flight Center Scientific Visualization Studio; Blue Marble data courtesy of Reto Stockli (NASA/GSFC), via Flickr (CC BY 2.0). We probably have less than five years before we witness the ‘Big Heat’ – a supercharged surge of rapid global warming, destabilizing the climate system in deeply unpredictable ways. Forget the so-called ‘pause’ in global warming-new research says we might be in for an era of deeply accelerated heating. While the rate of atmospheric warming in recent years has, indeed, slowed due to various natural weather cycles – hence the skeptics’ droning on about ‘pauses’ – global warming, as a whole, has not stopped. Far from it. It’s actually sped up, dramatically, as excess heat has absorbed into the oceans. We’ve only begun to realize the extent of this phenomenon in recent years, after scientists developed new technologies capable of measuring ocean temperatures with a depth and precision that was previously lacking.